Meet the 2019 Small Nonprofit Organization of the Year finalists, presented by Southwest Airlines: Dress for Success Denver, Minds Matter Denver and SAME Café. These nonprofits may be small, but that makes them nimble – and it means they can try new things to make a bigger impact. The winner will be announced live on May 1. Dress for Success Denver empowers women to achieve economic independence by providing a network of support, professional attire and the development tools to help women thrive in work and in life. Dress for Success Denver programs help women find positions that offer a livable wage and a career path, keep their jobs and provide a roadmap for giving back to their communities. 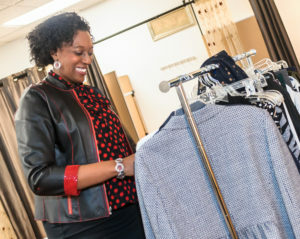 Their programs help women find confidence in themselves and their careers through a clothing boutique, career center program, women’s employment network and a professional women’s group. Partners and volunteers are at the core of this small nonprofit – with 100 volunteers who on average engage for five to six years over hundreds of hours. Minds Matter Denver is on a mission to prove that it’s access, not ability, that limits college success for students. 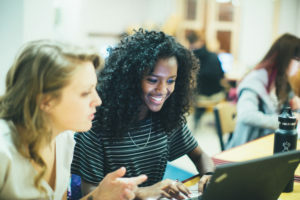 They connect bright low-income high schoolers with relationships and resources reserved for more affluent peers, including accomplished mentors who build relationships over three years, weekly college preparation and summer programs at top-tier universities. Students are finding success by having that access – Minds Matter Denver has a 100 percent college acceptance rate and 100 percent of those students earn scholarships. Minds Matter has partnered with University of Colorado Denver and Metropolitan State University of Denver to grant access to their students while meeting 100 percent of financial need. By 2027, Minds Matter Denver is aiming to serve students across the state. 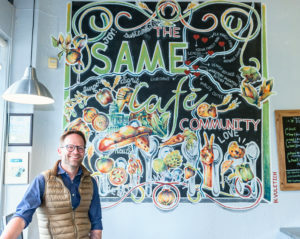 SAME Café is a donation-based, fair-exchange restaurant where people can donate volunteer time, money or produce in exchange for a healthy, locally sourced lunch. SAME Café, short for So All May Eat, believes that everyone should have access to healthy food, regardless of ability to pay. “Healthy food is not a luxury. Healthy food is a right, and we want to make sure that everybody understands that – and everybody has the right to access healthy food,” said Letisha Steele, operations officer and chef for SAME Café. Their goal is to add dignity and choice to food access by making it a true restaurant experience. Launched in 2006, SAME Café has served as a model for 60 restaurants across the country. And, this year they’ve launched a food truck to expand their reach beyond the restaurant – doubling the meals they served in 2017. They also launched a Cook-to-Work, a six-week food prep training and food safety course to help those who are gaining skills by volunteering with them to find jobs.